Lewterslounge: Ever, Jane - a MMORPG With a Huge Accent on "RP"
Ever, Jane - a MMORPG With a Huge Accent on "RP"
People who are ringing alarm bells heralding the imminent demise of the classic MMORPG genre, have probably not looked deep enough under the surface to see that there is in fact still new blood being pumped into this old and weathered industry, and that some of the new and upcoming titles are simply jaw-dropping. Ever, Jane is the perfect example in this sense. Now, this game is much too niche to be hailed as the potential savior of the classic MMO scene, but its take on the role-playing aspect is indeed nothing short of a breath of much-needed fresh air. 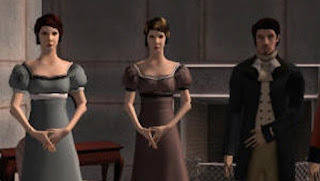 Based on the world created by Jane Austen through her novels, the game will take players to grand balls instead of raids, and dinner parties instead of dungeons. Players' sharpest weapons shall be oration and writing skills rather than swords and the likes, and the stats will include factors such as social status, kindness, reputation and duty. 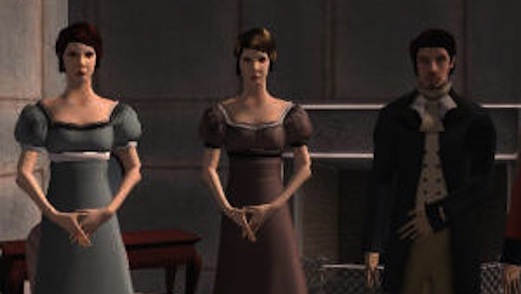 The focus shall obviously be on the role playing element above all-else, and in this respect, Ever, Jane harkens back to the MMOs of the early 2000s. Graphics, character customization and visuals are secondary and - in their current state - rather unimpressive indeed. Currently in open-beta stage, the game is already populated by players who are dedicated to its RP focus, so if you join and roam around a little bit in the game world, you're likely to find yourself pleased with the way the game is shaping up, if you are a fan of this era/world/style of course. The game picked up some $110k through Kickstarter in 2013 and its open beta was launched just about a week ago. Admittedly, Ever, Jane is not for everyone, but it doesn't aim to appeal to everyone. It has a very specific target-audience, and its mission will obviously be fulfilled if it can cater to those very specific needs. Philip Thalberg has been involved with e-sports since 2004.